In God Gave Us Christmas, we see the beautiful story of the true meaning of Christmas unfold before us. 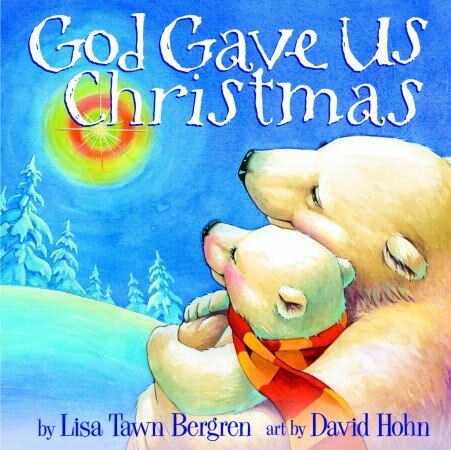 As a mother bear takes her young cub on a journey to find God and the meaning of Christmas, we see the wonders of God all around them. This adventure reminds us that Santa is not the author of Christmas. God has written a beautiful love story to His children and Lisa describes it beautifully. Laomai and I give this book four thumbs up! i used your "top 10 fave kids books" to buy christmas presents this year. all the little boys and girls are getting one of those books. yay! christianbook.com is a fave of mine!